Forest Rose creates what you envision ! Seasoned industry professional, Jan C.J. Jones strives for personal excellence to create an end product that is unique, special and fun. Her experience is backed by wisdom, knowledge and discernment in selecting projects that reflect Forest Rose Production's demand for quality. Utilizing hand-selected production teams specifically suited for each project, Forest Rose "raises the bar" for visual storytelling. Jones facilitates an efficient operation to produce an effective product, from pre-production planning to finished product. An award winning writer and video editor, Jan has produced, directed co-produced, adapted, video-edited, and/or written everything from short and long form videos to theatrical and multi-media presentations. As an avid photographer and graphics artist, Jan is also the owner-operator of Freelancer Ink, a digital graphics production company. 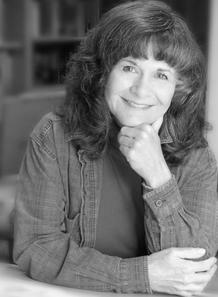 Jan has mentored students and novice writers to prepare for entry into industry-focused college & universities, professional script submissions, script competitions, and has instructed workshop groups in writing for visual media. My strength is understanding story structure and audience psychology... knowing what the viewer "needs" to see, and when, in order to keep them engaged, entertained, and satisfied with their viewing experience. 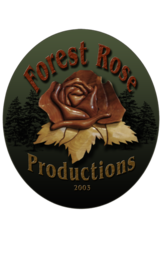 Forest Rose Productions, LLC High quality Research, Writing, Photography, Videography & Video Editing and Production Services that fit your budget!